Posted By:Unknown | At:6:19 AM Be the first to comment! 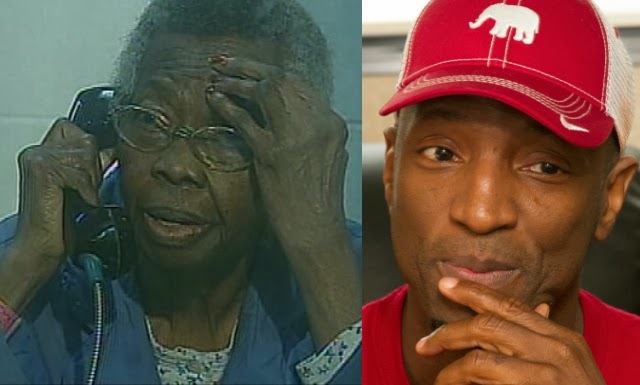 (FOX4) --- Radio show host Rickey Smiley said Wednesday he posted the bond money for 80-year-old Fort Worth woman who allegedly tried to kill her ex-husband during an argument. The radio host, whose morning program airs locally on 97.9 The Beat, tweeted out Wednesday morning, "I just posted bail for the 80yr old lady in Ft Worth Tx. So happy." Smiley is also featured on Dish Nation, which airs on FOX4. Tempie Strickland was being held in the Mansfield jail on attempted murder charge and her bond was set originally set at $100,000. But police reduced the charge from attempted murder to aggravated assault with a deadly weapon and Tempie's bond was reduced. Tempie was released from jail on Wednesday morning. Tempie said for the time being she plans to live with a couple who attend her church. Tempie said she hadn't heard of Rickey Smiley, but says she is a new fan of him after his help. Police said the woman pointed a gun at 73-year-old Sterling Strickland's chest Sunday night because she was fed up with him staying out late at the barber shop and bingo. She pulled the trigger, but the weapon didn't fire. Sterling called 911, but reportedly told police he didn't want Tempie charged. However, police are required to make an arrest in suspected domestic violence cases. From behind bars, Tempie told FOX4 that she and Sterling are divorced, but live together for convenience. She said she's sorry about what happened, but she was upset and thought he was going to hit her. She just meant to scare him, she said.